Despite all its popularity, today very few of us truly know what meditation is. 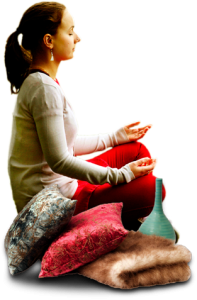 Some regard meditation is the mental concentration on something, others consider that we meditate when we imagine something that gives us peace or satisfaction. All these methods are being with one goal to slow down and, eventually, completely stop the incessant activity of our minds. These exercises are not really meditation – they are substitutes for meditation because it is normally very difficult to stop our minds all-together. In reality, meditation is a state of thoughtless awareness. It is not an act of doing – it is a state of awareness. We either in this state or we are not, regardless of what we are doing in life. Truly, a man can be in meditation while doing his day’s labors as another man can be very far from meditation while sitting in a lotus posture on the top of a mountain. Enjoyment is only possible when you are beyond your mind. With your mind you can never enjoy. It’s like a big load. It will not act, it will not help. Enjoyment comes when you are in complete silence – in a rippleless lake. The reflection of all the joy that is created on the shores of that lake are completely reflected, they are not deflected. If there were ripples it would have been a different image altogether and would have been something nowhere near the image of reality. 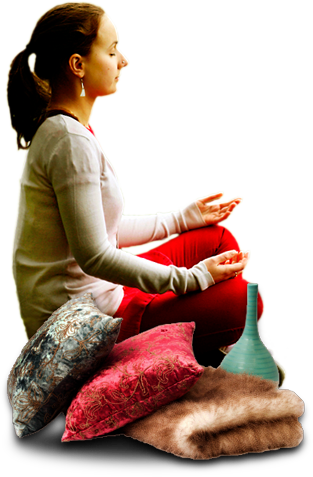 Meditation has been described by many saints, prophets and enlightened souls. Their words could describe the state but they could not describe the process by which it was achieved. It was a mystery, the great unknown and the secret to the happiness and peace in life. In 1970, Shri Mataji Nirmala Devi, opened a gate for all of us to experience what meditation really is ourselves. No longer do we need books describing what it is – anyone can experience the state of meditation through simple and natural techniques. It has now become easier to evolve spiritually in a heart of a metropolis than in the jungles of Himalayas. Meditation can only be achieved through the process known as“self-realization”. Self-realization is the awakening of our own pure energy that lies dormant within us – unknown and unsuspected. So what is this energy and how does it happen?